Matrix Gemini is a configurable laboratory management information management system (LIMS) that helps laboratories manage large volumes of data to strict standards, while at the same time improving efficiencies, automation and turnaround times. One of the main features is a set of configuration tools designed to efficiently create optimized, yet highly adaptable, workflows. The flexibility of Matrix Gemini allows its use in a wide variety of laboratories, both in size and application. Read on to discover how a LIMS can help you and which solution would be best suited to fit the needs of your lab. Validate and approve results, and automatically kick-off preventive and corrective actions. Enforce a standard operating procedure, every time the same. Register and track samples through the laboratory with ease. Hook-up to hundreds of instruments via open API and plan usage to maximize efficiency. Drive standard operating procedures and ensure systematic staff training is enforced. Create certificate of analysis, management reports, work lists and much more, in an instant. Manage laboratory consumables and automatically flag when re-ordering is needed. Enforce step-by-step execution of laboratory test methods to follow SOPs. Construct quotations and invoice customers instantly to keep cash flowing. Build in test limits and automate calculations to simplify entry of test results. Keep a record of procedures, exceptions and observations online and search instantly. Effortlessly configure, run and manage stability studies to ensure product shelf-life. Matrix Gemini LIMS can be found in laboratories around the world, spanning sectors from Metals to Pathology and Pharmaceuticals to the Food & Beverage industry. Because our LIMS has been used in so many different industries, we often already have a LIMS starter configuration that can be quickly adapted for you, using the Matrix Configuration Tools. For more information on how our LIMS can help you specifically, view our dedicated LIMS industries page. You don't need to be technical to use Matrix Gemini LIMS. The system stands apart from the competition thanks to its flexibility. No custom coding is required, which means any user can configure Matrix Gemini's workflow, screens or menus. It is important that you can access your information at the touch of a button. As Matrix Gemini LIMS centralizes your data, either in your own data center or in the cloud, you can easily retrieve the information you need. You can enter and retrieve data through your web browser or via the desktop interface. Matrix Gemini LIMS can help make better, more informed decisions thanks to its sophisticated real-time reporting. This helps you analyze data more quickly, allowing laboratory managers to get access to the right information at each stage of the testing process. Our LIMS uses automation to improve data handling and help detect irregularities. What's more, they enhance data integrity, increase your laboratory capacity and improve efficiency all-round, helping make your laboratory more streamlined, more effective, and more profitable. From Biobanking to Pathology and beyond, our unique and fully configurable LIMS solutions are applicable to many industries – providing you with what you need to accurately manage large amounts of data while supporting with any compliance and regulatory requirements. With a huge number and range of implementations under our belt, our experience spans multiple industries and means that no matter what your business niche is, we have the know-how to get your LIMS solution up and running quickly and efficiently – so you can concentrate on running your laboratory. Visit our Industries section find out more about how Autoscribe can support you. Autoscribe’s Matrix Gemini LIMS is suitable for those who are looking for a fully configurable system which will meet both the immediate and future needs of your business. Our database is unique because while it offers genuine configuration capabilities, there is no custom coding required – providing you with superior flexibility, fast implementation and an interface that is both comfortable and familiar to the user. The system is designed for any laboratory in any industry and delivers a consistent user experience whether you’re working from the office or elsewhere. Matrix Express LIMS is Autoscribe’s ‘off-the-shelf’ solution, designed to suit the needs of smaller laboratories, or perfect as an introductory LIMS in larger businesses. The software shares much of the key functionality of Matrix Gemini and there are upgrade paths available to increase functionality over time. With such comprehensive functionality, Matrix Express is often used as a pilot installation, prior to making a larger investment. 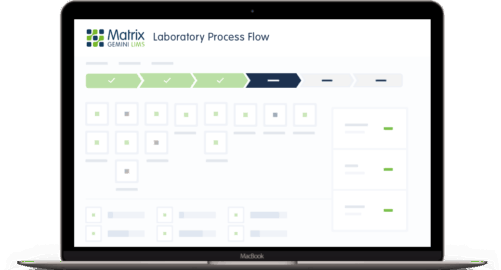 Matrix Tracker is Autoscribe’s solution to tracking samples, assets and anything else within your laboratory to support high throughput and error reduction capabilities. From laboratory samples to waste management, the software can be quickly configured to meet your needs. Available as either a desktop application or through a web browser interface, the program can be compliantly configured to meet the needs of different applications, without the need for custom coding. 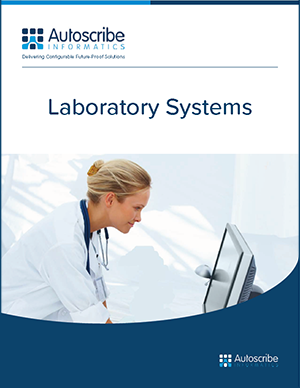 This overview Laboratory Systems brochure provides a high-level view of our solutions. It also explains who we are, why our graphically configurable management solutions are unique in the industry, and why that matters to you! The benefits of LIMS are widely recognised but often require a formal justification and business plan to management. This guide will help you to justify that all important investment. Discover some of the companies that use LIMS and find out how Autoscribe Informatics solutions have helped customers to manage their laboratory processes more efficiently. If you have an upcoming project or would like to arrange a demo, get in touch today to find out more.